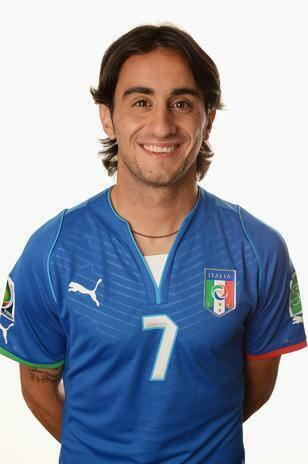 Former Juventus midfielder Alberto Aquilani has become president of a club after he bought SpesMontesacro 1908, the junior club where the Italian started off his football career. Alberto Aquilani came through the youth ranks at Spes Montesacro 1908 but was never spotted playing for the junior club. He was first seen playing while playing for a local amateur club. The 34 year old has now decided to return back to where it all began, buying 100 percent of the shares at Giallorossi to become the sole owner of his boyhood club. The player expressed on his official Instagram handle how delighted he was to have acquired 100 percent of the club’s shares, saying that he sees the move as a new challenge for him. He revealed he started his footballing journey at the club, on a dirty pitch in Montesacro, stating that SpesMontesacro groomed him to become the excellent player we all saw at Roma, Liverpool and Juventus. In a well-travelled career, Aquilani played for Liverpool between 2009 and 2012 but found it very difficult to break into the first team, making just 18 Premier League appearances across three years at Anfield and scoring just one goal. During his time at Liverpool, he was shipped out on loan to Italian clubs Juventus and Milan, loan spells which were fairly successful. He was a regular name on the Juventus starting lineup in 2010, playing 33 matches for the club that season and scoring two goals. The Italian went on to play for several other European clubs including Fiorentina, Sporting CP, Pescara, Sassuolo and Las Palma. Aquilani last turned out for Las Palma in the Spanish La Liga in the 2017/2018 season before deciding to hang up his boots. He made 21 league appearances for the club, but could not register a single goal.